Prime Minister Dr Keith Rowley expressed his joy at the election of the country’s first woman President, Paula Mae Weekes, by saying he has daughters and many female relatives. He recalled his elation, as a youngster, at seeing the first ever woman bus driver. His was a clear message that he wants to see women do well. He spoke after chairman of the Electoral College, Speaker Bridgid Annisette-George, had declared Paula Mae Weekes was elected President. 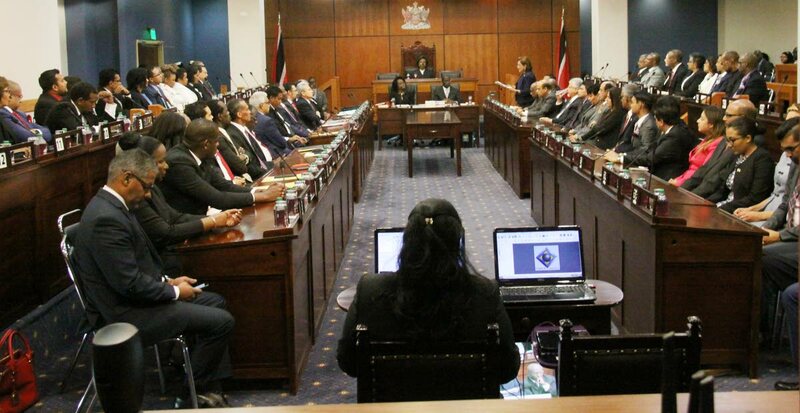 Rowley said the country could be proud of its democracy and governance systems are open to all. “Today, for the first time, a woman is set to hold the highest office in the land. “I still remember the excitement I experienced, as a boy when I saw the first woman bus driver, I distinctly remember the pride I felt when we produced the first female commercial pilot and only recently those moments returned when I saw a picture of our first female airline captain (now retired) as she lit up the pages of the national newspapers. He said TT was no stranger to having women in high office. While many of these are well-known, countless other women in the past and present have done yeoman service to build the nation in their homes, on the sports fields, at their workplaces and in their communities, he said, urging youngsters to sit up and take notice. “This is a fitting time, as good a time as any, for our young people and indeed each and every citizen, to recommit to being the best that we can be. He said Weekes was selected as the best person for the job, measured by a variety of very exacting yardsticks. Rowley thanked outgoing President Anthony Carmona for his noble public service. Reply to "Paula Mae Weekes is President-elect"